St. Vincent de Paul Thrift off Fiechtner and 5th. From Main Ave, turn onto 25th St S.
Turn west on 5 Ave S (by Border States Electric). 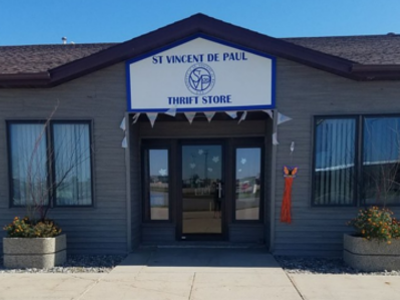 Follow Fiechtner Dr S until you reach the intersection with 28 St S.
St. Vincent de Paul Thrift Store is to your right after the stop sign.